There are 5 types of memberships. Members-in-Training are physicians in an academic post-graduate training program. Affirmation of Integrity Statement. This document is required as per ICON policy. Members-in-Training need to submit a letter signed by the chief of their department as proof that they are in a post graduate program. This document is required as per ICON policy. 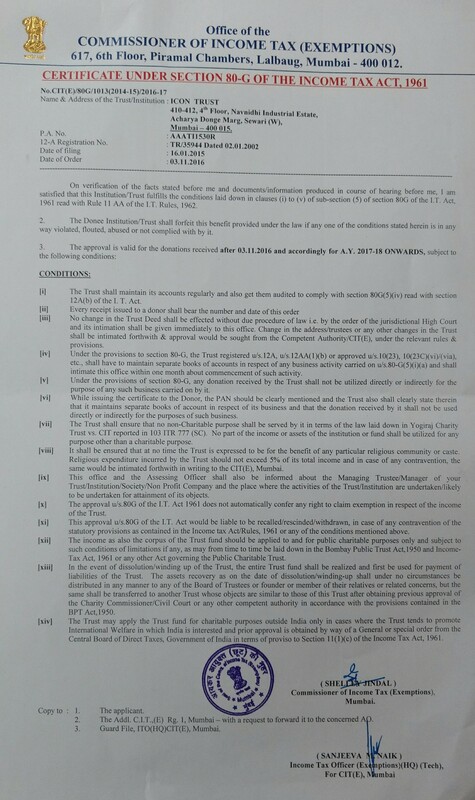 Conflict of Interest statement This document is required as per ICON policy. All Payments must be by Cheque or Demand Draft in favor of "ICON TRUST". Your registration will be confirmed only after the membership fees have reached ICON.